Out of the ashes of two important bands, Artension and Angel of Eden, rises Artlantica, and their debut album Across the Seven Seas. 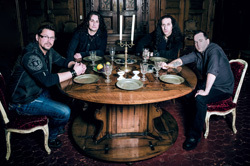 The band includes in guitarist Roger Staffelbach, vocalist John West, and keyboardist Mistheria. Helping out on this first recording are some special guests: Dani L�ble (Helloween) and John Macaluso (Malmsteen, TNT, Ark) on drums, bass player Steve DiGiorgio (Sadus, Testament), who also worked with Artension and Angel Of Eden previously, and guitarist Chris Caffery of (Savatage, TSO). Essentially, if you were a fan of either Artension or Angel of Eden, and wished for their return, you'll be completely satisfied with Across the Seven Seas. Artlantica brings engaging progressive power metal arrangements powered by exceptional technical skill by some very talented musicians. Most of the songs are on the heavier, without being harsh, and speedier side. An exception comes with the metal ballad/anthem Ode to My Angel, where West is more a passionately melodic, and less over-the-top power metal, vocalist. There's also one instrumental with Return of the Pharaoh Part 3, which picks up form the first two parts found on Angel of Eden's only album, The End Of Never. Returning to the other strictly prog power metal tunes, Devout, Fight for the Light, Nightmare Life, and the title cut are the stand out pieces. Yet, every song features significant contributions by the principal members. The odd song here is the opening track 2012, which has something to do with speculation surrounding the end of the world in December of that year. We're all still here, so why include a song about a non-event? 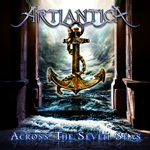 Otherwise, Artlantica's Across the Seven Seas is a fine and engaging album of melodic and progressive power metal. Recommended. 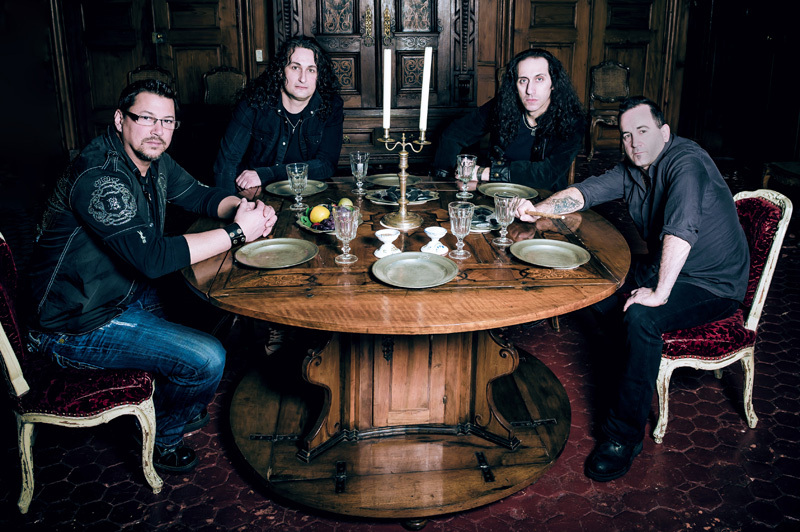 Artlantica's Across the Seven Seas is a fine and engaging album of melodic and progressive power metal propelled by good arrangements and exceptional musicianship. Recommended.